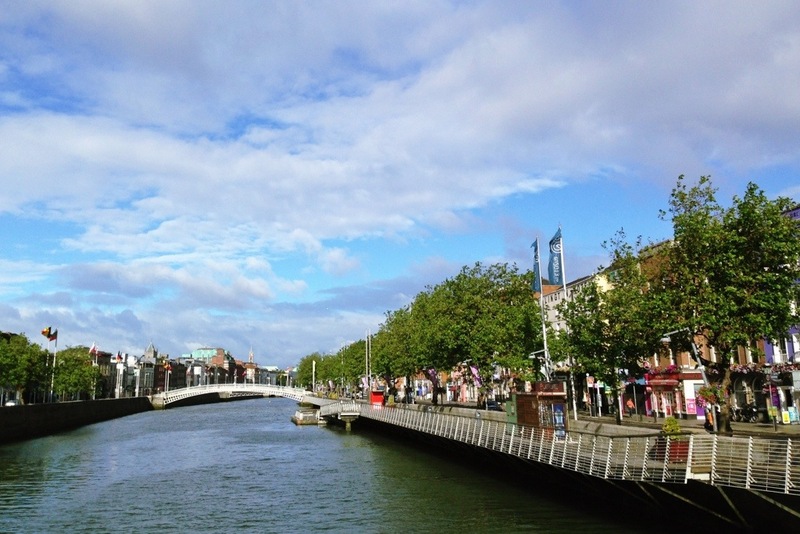 This morning husband and I said goodbye to Dublin with a stroll over the river, and a picnic breakfast in the center median of Upper O’Connell Street. It was a grand holiday, but it’s time to come home. As I was lamenting the end of our vacation to the very nice taxi driver taking us to the airport, he kindly reminded me, “You have to go home in order to come back again.” Well said. This is day 173 of Photo 365. This entry was posted in Photography and tagged Dublin, Ireland, Photo 365. Bookmark the permalink. Tanks very much! 😉 It was nice to see sunshine in Ireland today!